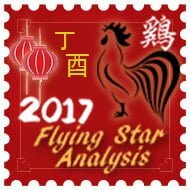 From 3rd February 2017 to 4th March 2017 is the first month of the Ding You year (Yin Fire Rooster year) with the ruling energy of #8 in the central grid. If this combination falls into an area that is a bedroom in February, try and keep your windows and curtains closed more than open and if the centre of your home is an office or lounge, keep the windows and doors open as much as security and climate will allow you to do so. The centre is a very good are for studying and also for artistic pursuits; try and spend time in this area or get your children to study here this month. If you are a family, try to temporarily place family photos here along with family related symbolic objects like a statue/painting of a family etc. 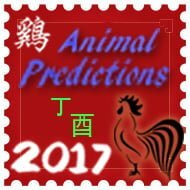 To activate relationships in February 2017, you can place some symbolic objects like Mandarin ducks, hugging couples or anything that is in pair like double hearts etc. This area is also very good for study or artistic pursuits so try and spend time in this area or get your children to study here. Wind chimes are not good here whatever they are made from. 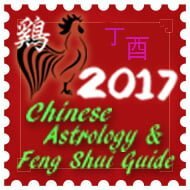 You should place a Ru Yi golden wealth enhancer and gold Tsai Shen Yeh statue in the centre for the whole of 2017 as this protects wealth and also creates new wealth in 2017 in your home or office. The centre is a great area for manifestation in February and it is good to place an image that represents everything you want to achieve in life, an example to some would be a picture of a beautiful home that you desire, a male or female that you admire, a car like a Ferrari or Mini, the number of children you would like, Create a dream board with all that you desire pinned to it or draw the image or you can even download some images from www.google.com this really is a very powerful way of manifesting your dreams and it really does work, remember to place the image in this area this month. 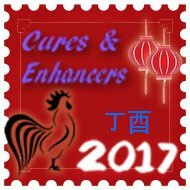 In February, you should make sure that you have your metal cures like the six Chinese coins in a row tied with red ribbon and/or a Wu Lou for the Annual #2 star but I would also introduce some wood in to the northwest to both feed the fire from the visiting #9 star and also neutralise the Annual #2 . You should also place a six rod hollow metal wind chime outside if possible. If this combination falls in the area where a bedroom is situated, try and face your Tien Yi or Yan Nien directions for February. You should use a salt water cure for the whole of 2017 in the northwest if it is an important room like a bedroom, lounge, kitchen etc. A brass Wu-Lou is advisable for a bedroom that falls into this area along with all shades of blue, black, grey or charcoal colours. This is especially so if you are not in good health and if you cannot buy a wu lou place a heavy round object close to your bed but avoid candles or colours red, pink, orange, purple or any fire colours. Place a set of six auspicious i-ching Chinese coins tied with red ribbon; this is so important if you have a middle son sleeping or spending a lot of time in the northwest this month. Whilst we have the #4 relationship star visit the north for February, this monthly and annual combination is not favourable for relationships and can cause heartaches especially for the females in this household. If you are pregnant, you should try to avoid this area and if not possible, you should introduce water colours to the north such as blacks, greys and blues. You can activate the north with a small amount of still water or water plants like bamboo; you should make sure that water is squeaky clean at all times. If you have Mandarin ducks, the north is where you should place them to enhance relationships. If you are a family, place family photos here along with family symbolic objects like a statue/painting of a family etc. You should avoid placing too many heavy metal objects/ornaments or using the colours white, silver gold or copper as these are metal colours and cause much conflict and possible injuries to the lower body in February. With the wood of the #4 star combined with the #6 metal star, it can cause problems with the skin and if this is a bedroom introduce same dark blue colours. You should try to keep windows or doors closed as much as possible during February and also try to keep the northeast of your home or office as quiet as possible. You should temporarily introduce some deep blue colours here during February; an easy way to do this is by using bed covers, rugs or wall coverings. This is very important if this a bedroom as it can cause problems with husbands/partners and may result in them going astray although please remember that this is only a passing influence and is a worst case scenario situation. Use metal cures to weaken the monthly #2 and six Chinese coins in a row tied with red ribbon along with a Wu Lou. You should avoid using fire colours like reds and do not burn candles. You must not place a wind chime here inside or out as this will activate the #2 star and cause wealth problems. Good colours to use are metal colours white, silver, gold or copper or water colours blue or black this month. This is a lovely combination in February and can bring good career and reputation prospects; this is overall, a very nice combination. You should place real quartz crystals here to activate or ceramics or any other earth object or shape. Good colours to use in the east in February are earth colours like yellow, brown or beige. This is an excellent place to have Amethyst crystal or other quartz crystal this month. The Three Killings and Sui Po are located in the east this year and it would be wise to avoid loud noise in this area as much as possible; if this cannot be avoided, place a wind chime in the east. If you have windows or a door here you should try and leave it open as much as security and climate will possibly allow you to do so in order to let the positive qi to enter and permeate the rest of the building, and only if you feel comfortable doing so. You should use blue or black colours to weaken the effects of this combination this month. You should also place some still (yin) water in a vase (with flowers if preferred) to weaken the visiting #7. The water must not be moving water as this is considered yang and will cause many problems. If this combination is located in an area that is a main door for you, place a dark blue doormat to dissipate the energy. You do not need to worry if this is a bathroom or utility or other similar room. The best colours to use when attempting to weaken this influence of the visiting #7 star would be blue, grey, charcoal or black. You should avoid placing crystals or anything that is associated with the earth element as this will enhance the #7 star. The #7 Red indicates a high risk of burglary, deception, copyright theft, gossip and back stabbing and if you have a door that is used often in the southeast in February or even a window, you should be keeping an eye on security, smoke alarms and checking electrics. The south is not a very nice area in February and is not favourable for health or finances although, if this area is a bathroom, utility or similar less important room it is not a problem. If possible, the best solution for the south this month is toavoid altogether although for the majority of us, this is not easily done and certainly not the case in my own bedroom. During February, I will be placing a brass table lamp with a red lamp shade and if this is a bedroom or other important room in your home or office, I would recommend doing the same. This is not a good combination for any room that you use frequently as this combination is hard to control even when you have introduced the cures. Another option is also introducing fire element related colours like red, pink or purple combined with metal element related colours like white, silver, gold or copper. The easiest way to introduce different elemental colours is by introducing bed covers, rugs, curtains etc; although the best solution for this area is to completely avoid it altogether. A traditional cure is to place a Buddha combined with a candle, if the colours are mixed with metal and fire it is an even better cure. 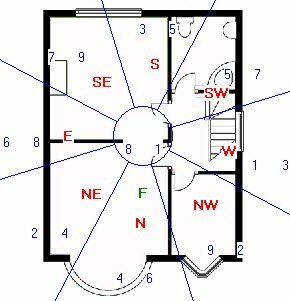 Another unfortunate area for February 2017 as this combination causes squabbling and back stabbing and can also cause financial problems especially if you have a main door here. You should remedy with six coins tied with red ribbon and install a salt water cure for the month. Try to keep the southwest very quiet as much as you possibly can. If this combination falls into an area that is an office, use blue objects like a blue rug. If this combination falls into an area that is a bedroom try and face your fortunate directions. You should use a salt water cure here if this combination falls into an important room like a bedroom, lounge, kitchen etc. Good colours to use here are metal colours white, silver, gold or copper; you can also use water colours blue or black to dissipate the energy of the visiting #5 star. You can place a six hollow metal rod wind chime but you should only place it on the inside as we do not want the noise to activate this area. Try not to let children play in this area either inside or out as this will cause many problems. You should use a salt water cure here if it is an important room like a bedroom or lounge, kitchen etc. Good colours to use are metal element related colours like white, silver, gold or copper; you can also use water colours blue or black to dissipate the energy of the monthly #5 star. We have the visiting #1 water star in the west in February which will be feeding the annual #3 wood star and to avoid problems, you should introduce some fire colours such as red, pink or purple to weaken the annual #3 star. You should try and keep this area as bright, open and as clutter free as you possibly can. This is not a good combination for a bedroom. You should use fire cures such as a candle (with care) or fire colours like red. Keep this area open and clutter free if you want to activate wealth or metal ornaments, a brass Dragon here is very good. Good colours to use here are white, silver, gold or copper. Do not use earth colours yellow, brown, beige or greens. You can introduce these colours in bedding, throws, lampshades, pillow covers etc.